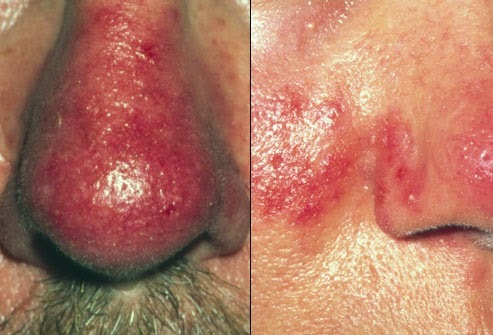 Rosacea is a challenging condition to manage as it is tends to vary from patient to patient often requiring a tailored approach (by using TDM). Rosacea is a common chronic skin disease condition affecting predominantly woman(ACED 30) in US. The symptoms are inflammatory lesions,bumbs and pimples. The main cause of Rosacea is unknown, but researches suggest multiple triggers including exposure to sun, alcohol, spicy food & exposure. USFDA approves 1% Ivermectin cream (Soolantra, Galderma Labs) for the treatment of inflammatory lesions, bumbs and pimples of Rosacea. While some Rosacea treatments for the commom bumps and pimples may take more than 4 weeks to show effect but Ivermectin cream may provides initial results as early as (with in 2 weeks). The API of Ivermectin has Anti- inflammatory and anti-parasitic activity. The ointment has to apply once-daily on lesions. Two pivotal phase 3 randomized, double blind, 12 week, vehicle- controlled studies involving 910 patients with Rosacea. It is safe & well tolerated at long term use(12 weeks) although some patients reported skin burning & skin irritations.